Essential Oils (EOs) are the “lifeblood” of the plant which it uses to nourish and heal itself. The wide variety of plants produce many varieties of EOs that we humans are also able to use for healing and life improving purposes. As you read this article scientists around the world continue to test new plants to determine potential healing qualities in their EOs. Ancient cultures widely used EOs. Ancient Egyptians were the first who studied, produced and used EOs for religious and healing purposes. From Egypt this knowledge spread through Jewish and later Christian communities. Many references to frankincense, cedarwood, and the aloes (sandalwood) – just to name a few – can be found in the Judeo-Christian religious texts. Many widely used prescription pharmaceuticals were originally derived from plants, i.e., digitalis from foxglove and the well-known salicylic acid (aspirin) can be found in the inner bark of the white willow tree. The modern history of EOs started in the beginning of the 20th century during the First World War when large numbers of injured and sickened demanded mobilization of all possible tools medicine had at that time. In the last 20 years EOs gained popularity in the U.S. Their qualities are studied by scientists around the world, taught in Naturopathic Schools and Integrative Medicine programs of several Medical Schools and now can be found even on a health food store’s shelves. While working on a client trying to reduce his or her stress the therapist works on the soft tissues using sensory receptors (touch, pressure, temperature, etc.) to alter function of the CNS. However, besides massage techniques the therapist uses other ways to alter the CNS function of the client: soft music will calm brain activity with shooting sound, dimmed light will inhibit visual cortex, warm temperature in the room will comfort temperature receptors, etc. To additionally reinforce the effect of a massage session the therapist may and should correctly apply EOs to alter function of the CNS via the olfactory system (system which conducts and forms sense of smell). As humans we rely on 9 senses to survive and safely interact with our environment: vision, hearing, taste, touch, smell, thermoception, nociception, proprioception and equilibrioception. Interestingly, only the sense of smell has direct access to the brain’s limbic system which controls our emotions and sense of pleasure. All other senses need to go via the thalamus, which is major relay station, to get their information to the cortex. Let’s follow the olfactory pathway illustrated in Fig. 1. The sensation of smell formed by any airborne molecules including EOs must get in touch with the olfactory epithelium (#3) located in the upper part of nasal cavity. It can be done by direct olfaction (#1) or by retro-nasal olfaction through the oral cavity (#2). As soon as receptors located in the olfactory epithelium are activated they send action potentials via the olfactory nerve to the olfactory bulb (#4) which is the first main component of our smell perception, since more than 2,000 glomeruli there allow us to discriminate between different smells. 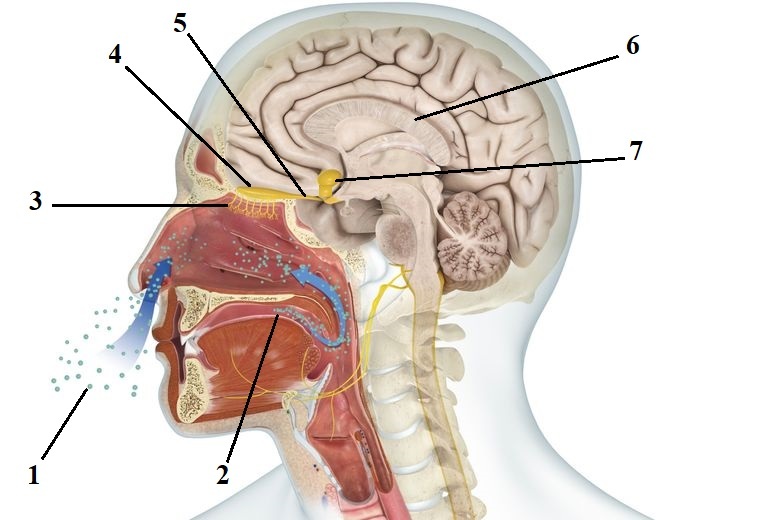 The olfactory bulb sends primary developed information about perceived smell via the olfactory tract (#5) farther to the brain to the amygdala (#7) and other components of the limbic system located below the thalamus (#6). Direct access of the olfactory system to the limbic system explains why certain smells including food bring us joy and trigger pleasant memories of events associated with this particular smell. Even this short description of the anatomy and physiology of the olfactory system illustrates how important EOs and Aromatherapy can be if correctly used. Thus, EOs can be another sensory tool which may greatly reinforce the therapeutic effects of every massage session. The EOs are different from seed oils, like avocado or coconut, which are greasy and usually thicker. These seed oils are also called carrier oils. Carrier oil is also an important product because it serves as a base that protects the skin from being irritated by the stronger chemical constituents that make up the EOs. There are several factors to consider when deciding what oils to use in general healing and in massage therapy in particular. 1. Where does the plant come from? The ground in which the seed is sown must be virgin soil where never any petrochemical has been applied. If “life is in the blood” then, in the case of the EO, life is in the seed. The company must first start with an organic, healthy seed to produce a healthy, vibrant plant. The company I use “Young Living” follows a tried and true “Seed to Seal” protocol that ensures the user of the most potent essential oil available on the market. 2. Is the plant harvested at the peak of the season and proper time of day (or night) to preserve the strength of the EO? The company we use starts with the organic seed and the healthy plant harvested at peak season before it is placed through the proper distillation process. 3. How is the oil processed to ensure as many chemical constituents as possible are preserved in that particular EO? The company we use owns the growing farms and works with co-op farms that follow the same process from seeding, growing the plants, harvesting and final distilling of the EOs. The entire process is vigorously controlled to ensure high quality of final products and their close uniformity, which can fluctuate from one growing season to another. All EOs must be bottled in dark amber glass bottles. A glass bottle is more stable and chemically neutral than plastic and dark color glass bottles don’t allow the sunlight to degrade many chemical components of the EOs. All EOs must be stored at the proper temperature suggested by their maker. In the U.S. it is not required to be certified to use essential oils. It is best, of course, to study detailed manuals such as Life Science Publishing’s “Essential Oils Desk (or Pocket) Reference” which is specifically written for the company’s oils that I trust and use. Another text that is helpful to better understand the oils is “The Chemistry of Essential Oils” by David Stewart, PhD. Therapists need to use the words “protect”, “maintain” and “support” health and wellbeing when talking about EOs. This is because the FDA considers any product that “will relieve colic, ease pain, relax muscles, treat depression or anxiety or help you sleep as drugs.” At this time, the FDA does not consider EOs as drugs. First of all, the therapist must ask the client about allergies or sensitivities to any plant product. Adverse reactions can occur and we, as the practitioners, need to be as learned and educated as we can be about such things. The next step I do is the Skin Test to determine if the client will have any reaction to the EO. I clean the skin (usually inner surface of forearm), put a dab of oil on the skin and wait about 3-4 minutes to see if there is any redness, itching or swelling. If there is any such indicator present, immediately put a carrier oil (coconut or avocado oil) on the testing area. This will immediately neutralize the irritating effect of the EO. One should realize that water does not wash away and immediately neutralize the EOs. In fact, water will spread the oil and drive it deeper into the skin. Once I worked on my plumber and he informed me that he is allergic to coconut oil. I had a massage oil blend that didn’t mention the coconut oil in the ingredients, but rather caprylic and capric acids. I read all the ingredients to him and he agreed to therapy. Neither of us knew that both acids are derived from coconut! He had a severe reaction of skin itching and difficulty breathing. He went to urgent care for treatment and was out of work for three days; for which I am paying by the looks of my bill for the bathroom work. Do your research! For one of my clients I used a blend of EO that is wonderful for decreasing inflammation and relaxing muscle tension and it contained a minimal amount of cinnamon. Despite that I properly ventilated my therapy room, my next client, who was allergic to cinnamon, started coughing as soon as she entered the room. I immediately put just a little lavender on my hands for her to smell. The coughing immediately started to subside and I proceeded with therapy. There is a very effective way to prevent such situations from happening in the future and also to use EOs which target each new client without fear of exposing him or her to the scent left in the room after the previous treatment. First of all, ventilate the room after each client. Secondly you can place an electric grinder in the room, grind 5-10 coffee beans after the client has left the room and open the grinder, letting the coffee odor fill the therapy room. The smell of coffee is pleasant and it will also bind to the olfactory receptors in the nasal cavity and prevent the ‘wrong’ smell from bothering a new client just entering the room. Here are some examples of the clinical application of EOs – peppermint is a good choice to use on the abdomen to assist in gastro-intestinal abnormalities (Rozza et al., 2013; Shavakhi A et al., 2012) or applied to the back of the neck to support the body in the case of a tension headache (Borhani Haghighi A. et al., 2010). A blend of clove, lemon, cinnamon, eucalyptus and rosemary (called “Thieves”) supports the immune system. 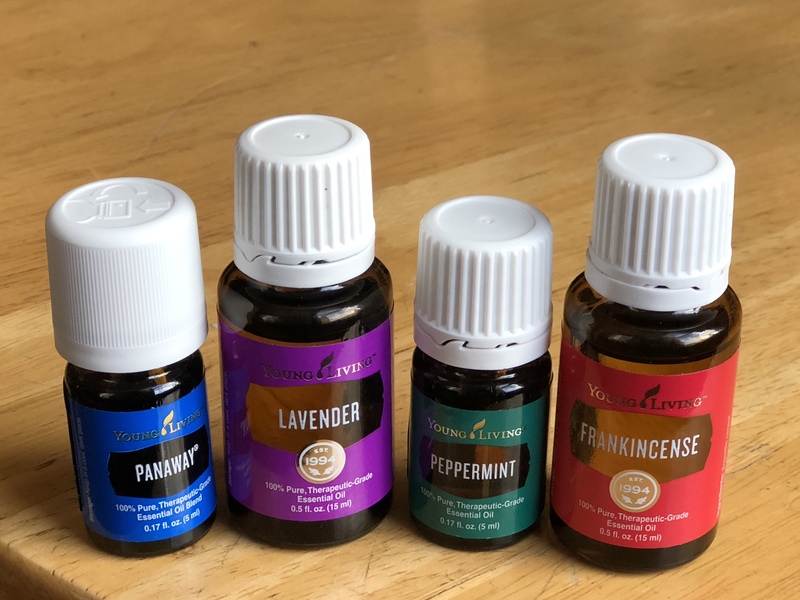 This blend is often diffused to eliminate household germs, but it doesn’t stop there. Research has shown that clove, lemon, cinnamon, eucalyptus and rosemary can limit the lifespan of staphylococcus, streptococcus, candida and other bacteria (Khan and Ahmad, 2012; Gupta A. et al., 2013). Lavender has a calming, relaxing and balancing effect on clients to balance their emotional state, improve concentration and it has an anti-depressant effect (Motomura, et al. 2001; Sakamoto et al., 2005). Chen et al., (2103) reported promising data that a blend of myrrh and frankincense has potential anticancer abilities. An especially interesting fact is that the healing abilities of both oils are frequently cited in the Bible. I protect myself from cold and stimulate the immune system by putting a few drops of peppermint or oregano EOs into a glass of water and drink it a couple of times a day. I start my sessions by putting one drop of peppermint on each foot and work on the client’s feet because of the reflexive effect it has on the rest of the body. I then apply two lavender drops to my palms and put them, palm down, about 3-4 inches above the client’s face when they are lying supine. I instruct them to breathe in with their abdomen 3-4 times. 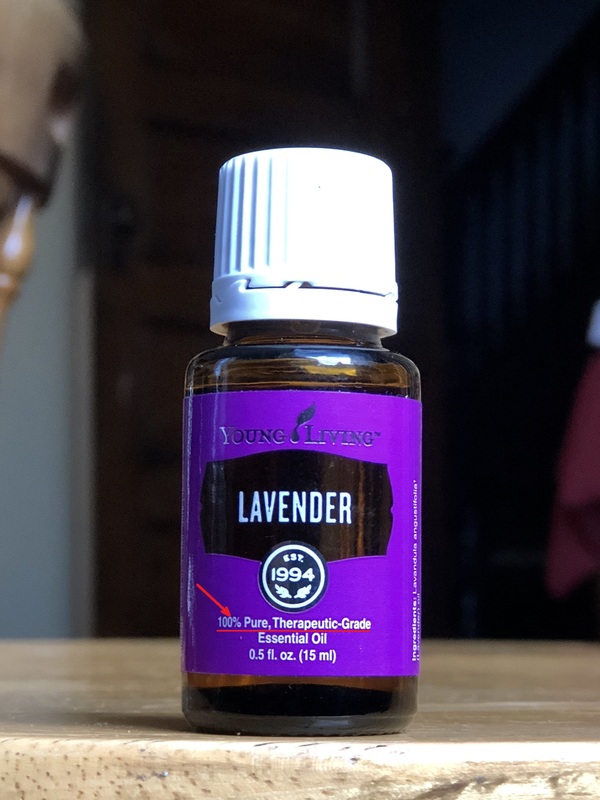 Molecules of lavender oil are so small that they can travel through the entire body balancing activities of sympathetic and parasympathetic nervous systems. Only at this point I start the Swedish Massage session or application of Medical Massage protocol. What EOs I use later in therapy depends on my client’s emotional and clinical needs. I do this with the knowledge I have now and my continuing education and the experience from what I have seen and felt for myself and the feedback from my clients. Contrary to what some have to say about aromatherapy, my personal experience as well as scientific data I relied on in my practice allowed me to conclude that EOs are a very important tool massage therapists should and must use to enhance treatment and help clients/patients. However, like any other remedy or treatment they must be used with care, proper knowledge and sincere intentions for the best outcome for the client. Borhani Haghighi A, Motazedian S, Rezaii R, Mohammadi F, Salarian L, Pourmokhtari M, Khodaei S, Vossoughi M, Miri R. Cutaneous application of menthol 10% solution as an abortive treatment of migraine without aura: a randomised, double-blind, placebo-controlled, crossed-over study. Int J Clin Pract. 2010 Mar;64(4):451-6. Chen Y, Zhou C, Ge Z, Liu Y, Liu Y, Feng W, Li S, Chen G, Wei T. Composition and potential anticancer activities of essential oils obtained from myrrh and frankincense. Oncol Lett. 2013 Oct;6(4):1140-1146. Gupta A, Duhan J, Tewari S, Sangwan P, Yadav A, Singh G, Juneja R, Saini H. Comparative evaluation of antimicrobial efficacy of Syzygium aromaticum, Ocimum sanctum and Cinnamomum zeylanicum plant extracts against Enterococcus faecalis: a preliminary study. Khan MS, Ahmad I. Biofilm inhibition by Cymbopogon citratus and Syzygium aromaticum essential oils in the strains of Candida albicans. J Ethnopharmacol. 2012 Mar 27;140(2):416-23. Motomura N1, Sakurai A, Yotsuya Y. Reduction of mental stress with lavender odorant. Percept Mot Skills. 2001 Dec;93(3):713-8. Rozza AL, Hiruma-Lima CA, Takahira RK, Padovani CR, Pellizzon CH. Effect of menthol in experimentally induced ulcers: pathways of gastroprotection. Chem Biol Interact. 2013 Nov 25;206(2):272-8. Sakamoto R., Minoura K, Usui A, Ishizuka Y, Kanba S. Effectiveness of aroma on work efficiency: lavender aroma during recesses prevents deterioration of work performance. Chem Senses. 2005 Oct;30(8):683-91. Shavakhi A., Ardestani SK, Taki M, Goli M, Keshteli AH. Premedication with peppermint oil capsules in colonoscopy: a double blind placebo-controlled randomized trial study. Acta Gastroenterol. Belg. 2012 Sep;75(3):349-53. 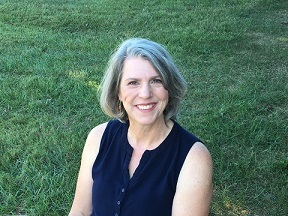 Carolynn Anderson, CMMP, LMT, graduated from Reflection of Health School of Massage in Johnson City, TN in 2013. While working in the spa industry Carolynn enrolled in C.A.R.E. Seminars to study chemistry and the use of Essential Oils. She added Aromatherapy to her Therapeutic Massage sessions. In 2015 Carolynn started Medical Massage Certification Program (CMMP) with Science Of Massage Institute and became a Certified Medical Massage Practitioner in 2016. Currently Carolynn is successfully building her own Medical Massage practice working with local physicians, chiropractors and dietitians. She practices an integrative approach to somatic rehabilitation using Medical Massage in combination with other modalities including EOs mainly assisting with reducing muscle tension and local inflammation.